Lea Hough’s team of Surveyors and Architectural Technicians liaise with property developers, commercial landlords, rural clients and private home owners who require extensions or alterations to buildings, or wish to consider new-build schemes. The first stage of this process is discuss ideas and then develop a detailed brief, before sketch scheme proposals are prepared for approval by the client. Lea Hough then prepare and submit Planning Applications to the Local Authority on the client’s behalf, including all required supporting documentation. 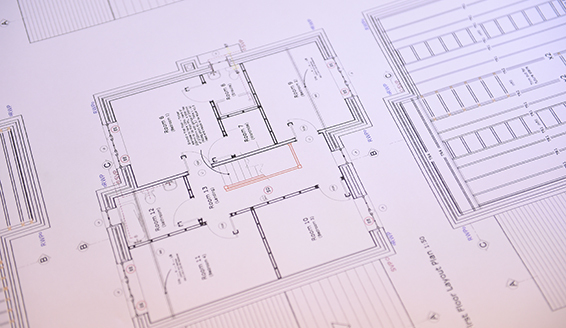 We will engage with our in-house Chartered Planning & Development Surveyors and provide Planning policy advice, strategic guidance and all necessary supporting statements to accompany a Planning Application, as required. Subject to planning consent being received, the team then prepare Building Regulations documentation and obtain approvals, and advise the client on the appointment of sub-consultants such as structural engineers or services engineers as required, to meet the development and clients’ needs. The Lea Hough team has excellent working relationships with the Planning Officers and Building Inspectors at most Local Authorities in Preston, Blackburn, the Ribble Valley and across Lancashire. We pride ourselves in keeping our clients informed throughout the whole process.